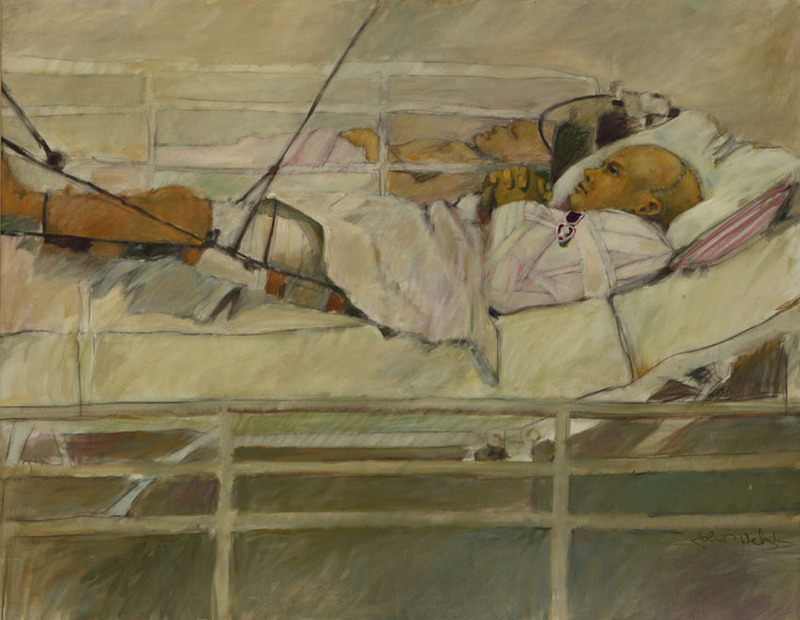 “Purple Heart” by veteran John O. Wehrle is an oil on canvas painting of a wounded veteran in Saigon Vietnam. The Vietnam War was a long, costly and divisive conflict that pitted the communist government of North Vietnam against South Vietnam and its principal ally, the United States. The conflict was intensified by the ongoing Cold War between the United States and the Soviet Union. More than 3 million people (including over 58,000 Americans) were killed in the Vietnam War, and more than half of the dead were Vietnamese civilians. Opposition to the war in the United States bitterly divided Americans, even after President Richard Nixon ordered the withdrawal of U.S. forces in 1973.